Why your Santa female twi'lek have hair?? What is a headwrap, headband or bandana? That piece of fabric, leather or elastic material that twi’leks have placed around the forehead. Currently only we work real leather. But you can make suggestions. The Darth Talon is a helmet (not leather) called here head armor. Can you make this costume? Send me your suggestion. Not all suggestions come true, if I have time and I’m interested, I’ll send you a budget. 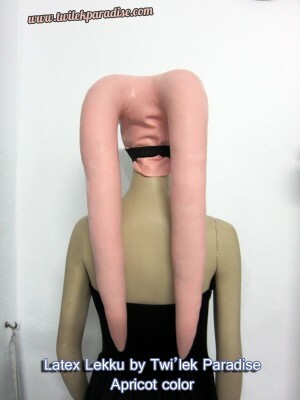 Do you can make togruta headpiece? I wanted to follow specialized in twi’leks. But people insisted me, wanted me to do, because they like my work. So I had to give in and make Togrutas. Right now the young Ahsoka is finished and for sale upon request. Adult Ahsoka from REBELS is available and for sale upon request. I just started working with latex and you have a lot of experience, I do not ask your secrets but could you give me any advice? The latex is like a living creature, does what he wants! The only thing that counts is the experience of the hands that work, work and more work, burn your money on more expensive products, breaking molds, mourn and start again. Do you mass-produce your costume parts? 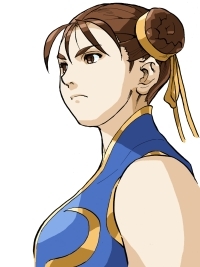 I do not have the capability to mass-produce costumes. I have a small workshop/atelier/studio in my parents’ house, not a factory. I can only do a very limited run. Can I show photos of your costumes and props on my website or on a forum? Yes, ONLY if you give me credit and place it with a link to my website. No! I make all of my pieces from scratch. If you recast any of my parts, even with alterations, my acolytes chase you and will make your life a hell (not is a joke). I have many friends in the costuming world that will see it at a convention or on a forum and contact me. It will come back to haunt you. That’s a promise. Do you have your lekkus special? A combination of comfort, resistance, are lightweight, beautiful curve between head and tentacle, custom color, proven experience and many satisfied customers with which you can communicate. Is it made lekku to fit my head? No. Each lekku style is different and has been tested in certain head sizes. You will find details of each in Store. The measure your head is also important when ordering headwraps. Head measure is approx., can use a lace and a normal rule. Do you make male lekku? I think that lumps are easy to do (if you want them), putting little pillows under the balaclava (as Shao Vao), for this I not put the lumps in the latex lekku shape. Currently I recommend Daesha and Ardana styles for men. I have long hair, it will be a problem? How much weigh your lekkus? They are very lightweight, all weigh below 700 grams (0.7 kg.) in total, depending on the model. It is much easier and more comfortable to adjust the color to a lekku with previously dyed latex. You will have more data in Tutorials. Do you sell lekku flesh/skin color? Do you sell lekku unpainted? Can I put them around my neck? The long Yes. The shorts will not come to surround it. Is it obligatory to use prosthetic adhesive? If you use a headwrap, probably not. To the Darth Talon is essential. Can I use in the sea or the swimming pool? Yes. Only ensures that no enter water inside and after wash with a cloth with water to remove chlorine or salt. Have some texture. It is a handmade item, sometimes it is softer than others. Include a note with care and tips in the box of every order. Are they flexible? Can put around my neck? Will move when I walk or dance? They are flexible, but latex always tends to the original form which was created so do not force it too long around your neck. Some people achieve the same movement when walking like in the video, but others don’t, It depends on your complexion (everyone is different). They do move when you dance or turn arround. Could you teach me to do a lekku or do a tutorial? No, sorry, my current skills are the result of years of failure and frustration, and burning my money. How do you do the lekku? With what material are stuffed? Yes, in two payments, a deposit to enter the queue of waiting and the rest before the end. I can only make a style of lekku every time. And some have higher demand than others. For example: If 4 people have ordered Ardana style, you will have to wait for it to finish those 4. (this is the ORDER QUEUE, each style have it own queue). Headwraps have ONE order queue for all styles. Your order enters in the order queue at the time of payment or first payment. Lekku need 2-3 weeks to make, depends of free time and weather. If order spots, headwraps, armor or other props time could be greater. I could take less but I ask more time because I’m tired of seeing propsmakers that say you “your order will start in April”, but is May and you write them and they say: “no, your order maybe will start next month” (maybe?? maybe start?? )… this is very frustrating for the customer, who thinks that has a delivery time but it’s not real. For this reason and because the diseases and family problems occur when you least expect, I ask more time in advance and ask for understanding. Please be foresighted and place your order in advance, you can make two payments. I’m honest, I’d rather not have a certain client who risk to have disappointed customer. I do not want to disappoint anyone. I am proud to have delivered on time more of 99% orders over 6 years I’ve been propsmaker. Delivered even months in advance. I will fight for this to continue. United States: 10-30 days approx. If customs stop it (by now they have not charged fees, but stop to insure no contain anything dangerous) 4 to 6 weeks. Currently are not happening but it is possible. Shipping is always with tracking number. Use those prices for reference to your approximate budget before sending the order form. 38 euros for Austria, Belgium, Holland, Netherlands, Luxembourg, Poland, Czech Republic. 48 euros for Bulgaria, Croatia, Denmark, Estonia, Finland, Greece, Hungary, Latvia, Lithuania, Malta, Romania, Sweden. Ask for your country, UPS can change their conditions/price without notice. MANDATORY this service for Europe. Can I add more things to my order now that I could save while waiting in the queue? Please, if you think that could add a bandana or accessory to your order in the future, tell us your interest before making the first payment. I have to get a schedule for orders and if you order it suddenly maybe can not make it. If you shows your interest in advance so we can take into account and ask when your lekku is started. From 3 units, write telling the time you give me to make and the amount and talked. Check out Portfolio for custom items and ideas. Choose what you want. Color, accessories, etc. Make sure that your questions are not resolved in the webpage. Relax and do not hurry. When you have everything you send me an ORDER FORM or email with what you want, delivery date (if want), your details, your name, your delivery address and your PayPal account. I mail you the budget and ask for confirmation. If you want I will send a payment request from PayPal. I will keep you informed of the status of your order. How do I order something that is in stock? If you want it with more items, use the usual way and write me in the form. If it is the only thing that you want order, can use the contact form or email. Be quick, First come (payment) first served. Can headwrap be made of fake leather or fabric? Currently, we are only working with leather, but you can leave us your suggestions. No, currently not. That you see in tutorials are for reference. No, except in exceptional cases. Some customs are very severe with the makeup. Do you complete outfits or just the headpiece? Currently don’t make full suits, only parts, but you can make suggestions. I can not afford those prices now, have I another option? You can split the payment into two (or more if you order several lekkus at once), a deposit to enter the queue and the rest before the end, it will give you time to save. My family spends economic problems but my dream is to be a Twi'lek! What can I do? Stay attentive to our website and facebook because sometimes make sweepstakes, discount coupons, etc. In Facebook is important choose View all notifications in LIKE tab. Facebook’s policy makes only a small part of our fans to see the publications, to force us to pay money for each publication for all to see. We posted only a maximum of 3 times a week so do not bother you, make sure that active option (sometimes even facebook the change without saying anything to make it inactive again) not to miss our discounts, news and contests. I want a lekku with this particular form (attached photo). Write me with your idea, maybe have time and send you a bugdet. Have patience please. Only you can make this character! Please take my request! Usually don’t make custom orders, but if have time love to do new things! Write us with your idea and we response you as soon as possible. Do that sometimes you respond so fast and others take long to answer my email? Please be comprehensive, your email is not alone, I have work and life, sometimes even break. But be attentive if it spend too many days and it does not receive a response, could be a mail error. If no response in 4 or 5 days, feel free to write us a message private by facebook with your data (name and email) so we can check it. IMPORTANT: For personal reasons from now I only make one latex headpiece of each style per month. Lekku style: "Ardana" "Daesha" "Liary" "Rynne" "Nercathi" "Tiny montral" "Adult Ahsoka Montral" "Teen Montral" "Fish head"
Ear cone or latex prop style: "No" "Normal" "Oola" "Latex triangular jewels" "Long lekku in teen montral"
"Leather adult Ahsoka diadem" "Darth Talon head armor" "Xiaan Amersu" "Oola Headwrap" "Ann Gela Headwrap" "Eleena Daru Headband"
Headwrap (headband, bandana) style: "Siordan" "Vashna" "Rackus" "Krayt" "Nima"
"I want my headwrap for male (No holes)"
You can put Custom props image URL or write the full description. You can send us a drawing or sketch of your idea and we will give you budget. "SHUT UP AND TAKE MY MONEY. Send me the invoice now"
Split the payment in two? "No" or "Yes, first now and second when order finish"